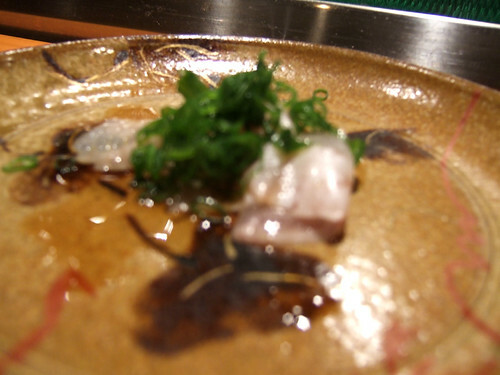 Sometimes I sound like a broken record – “Manresa is the best restaurant in the country” and “Sawa is the best fresh fish in the country.” Despite recent reports on Chowhound, the restaurant is alive and well. Sawa is a controversial place, both online and off. 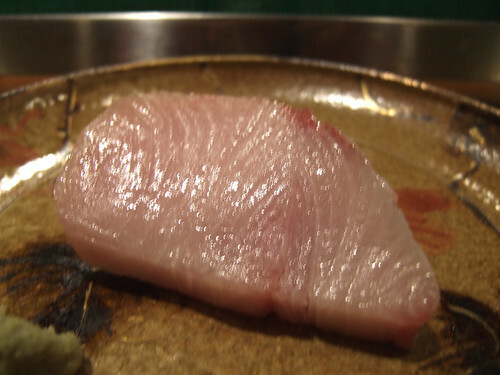 Purists decry that the fish is cut in “American-sized” slabs that directly oppose the finesse of a traditional Japanese restaurant; however, the fish is pristine, rarely with flaw. 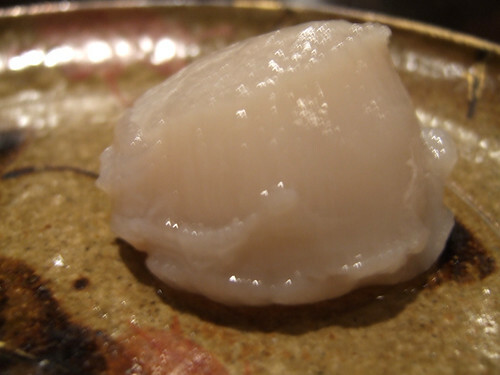 The complaints about its expense are near universal; again, top-tier places like Kuruma Zushi (NY), Masa (NY), and Urasawa (LA) always run $250+ per person because top-tier fish pricing is exponential (and therefore, like many things in life, a lesson in diminishing returns where you must choose your point of departure.) Some say Sawa Sushi is a misnomer because there’s nary a grain of rice in many meals; again, you want pristine sashimi or rice? 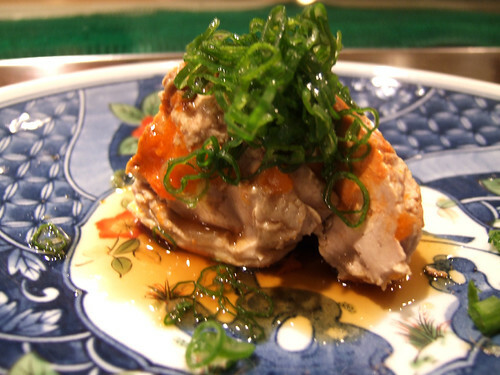 Sawa is a specialist in obtaining the best ingredients. 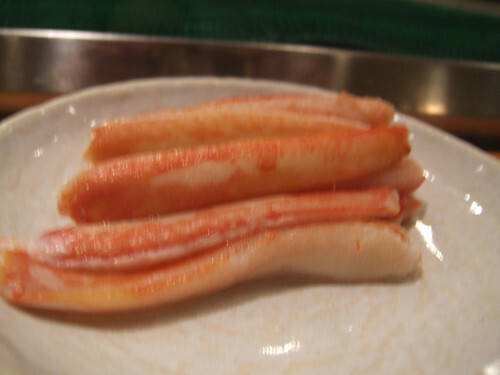 This kobe was unlike most I’ve eaten – it wasn’t that fatty but it was exceedingly tender. Even better, it had a nice bite that yielded the right amount of fattiness. The best parallel I can draw is comparing your average American chicken to a Bresse chicken from France. Absolutely delicious – I had another one at the end of the meal. Excellent. A creamier foie gras torchon. 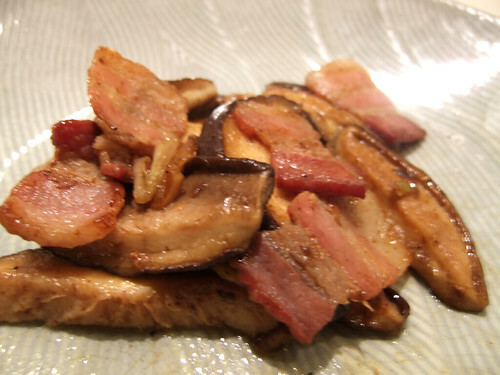 This had a slight smoky flavor with the citrus soy sauce cutting the fat. Very Good. 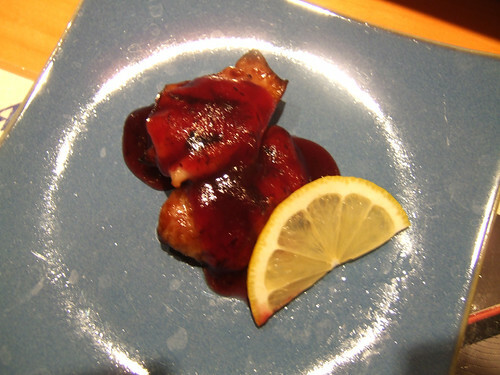 The pork had nice flavor – it was probably wild considering the slight gaminess (a good thing.) The curry sauce was not nearly as cloying as it looks – it provided just a touch of heat. 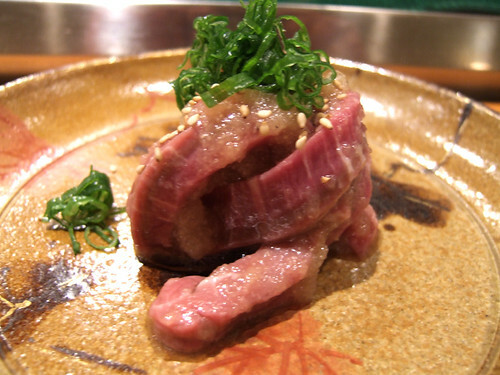 The meat was variably cooked with some pieces slightly dry and others perfectly moist. Good. 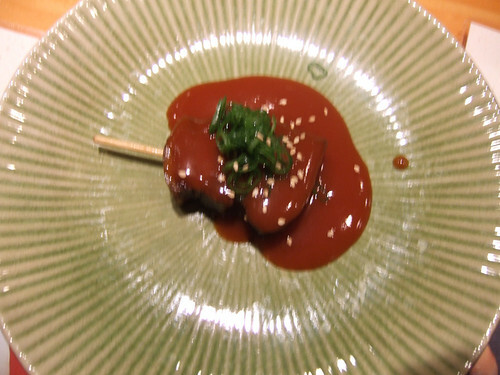 Lightly fried, nowhere near the artistry of Masa or Urasawa, but it was quite moist and tasted great. The chicken had a deep ‘chicken’ taste – a Bresse-like flavor – unusual in your typical supermarket American chicken. Very Good. I’ve said it all before… Excellent. While the portion is huge (he knows I like it), the fish is absolutely pristine. It’s contemplate-life type of food – take a bite, let your teeth sink through it, taste the fish coat your mouth, and just ponder. Fish does not get much better than this, if ever. Excellent. 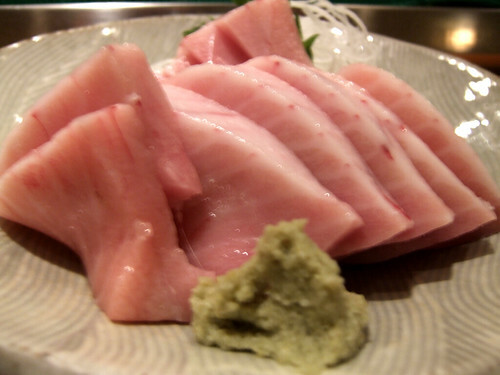 Most sushi restaurants serve farm-raised hamachi which, while fresh, can lack flavor. 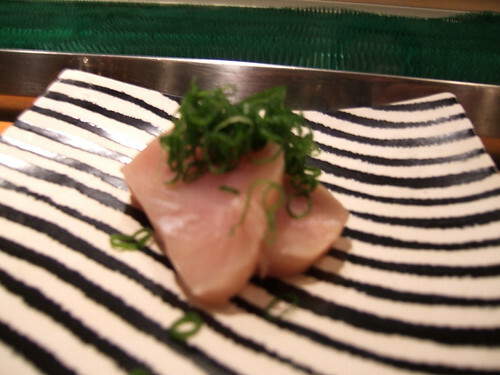 This piece had an intense hamachi taste – a touch oily w/ intense seawater/fish taste. Excellent. All in all, another night of near pristine ingredients. Nothing in San Francisco proper comes close. Eating at Sawa can be a curse; suddenly, nothing but the best will do and there are only 3-4 places in America that can deliver at those levels. Such is life.